Consider these numbers: Minnesota managed six hits, only one of them for extra bases – a first-inning double – and one earned run. Not bad, right? Darin Erstad couldn’t have asked much more from his pitching. But go beyond those numbers and you can understand the frustration. Nebraska managed just four hits, never had more than one runner on base in all but the fourth inning, went up-and-down in order four times, struck out seven times – including four looking – and . . .
Had enough? The final score at Hawks Field on Sunday was 2-0 Minnesota, meaning the Huskers have opened 1-2 in the Big Ten at home and now play their next nine games on the road, with six coming in conference series against Ohio State and Michigan State. The road journey begins on Tuesday at Creighton. Starter Matt Warren gave Nebraska a chance on another cold and damp afternoon, allowing three hits and the two runs, walking two and striking out three before giving way to a bullpen that allowed only one earned run in 10.1 innings over the weekend. But “wind blowing in, cold day, (you) kind of anticipated this type of a game; whoever cracks first and we cracked, they took advantage of it, and there you go” said Erstad. 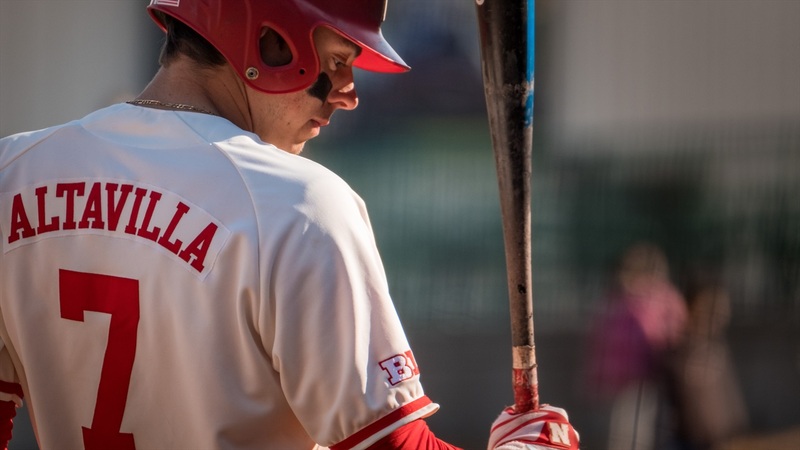 Credit the Huskers’ offensive problems to Minnesota starter Patrick Fredrickson, who allowed the four hits and walked one while striking out six. He “pitched fantastic,” Erstad said. The freshman right-hander also didn’t allow a run in his last start, five innings, at then-11th-ranked TCU and is now 3-0 with a 1.72 earned-run-average. Fredrickson walked just one, as did closer Max Meyer, who walked Scott Schreiber to lead off the bottom of the ninth, the only time Nebraska’s lead-off batter reached base. Schreiber continued to be a bright spot in the order, going 2-for-3. He was a combined 7-for-12 over the weekend to raise his batting average to .358, tops on the team. Jesse Wilkening and Jaxon Hallmark had the Huskers’ other hits. The Gopher runs came in the fifth inning, on a leadoff single, with the runner going to second when Hallmark mishandled the ball, a walk, a sacrifice and an error charged to first baseman Luke Roskam on a ball hit down the line at the bag. It was initially ruled a hit. That was all Fredrickson and Meyer needed.